Search engine optimization is a mammoth of a beast. There are hundreds of individual considerations to make when building your SEO strategy, and it can be quite difficult to take account of every single variable. Most successful brands and businesses will admit to not focusing on every individual element: they give a large amount of focus to quality content creation and then invest time in optimizing how search engines index and view that content. Needless to say, you’ll find the need to improve SEO performance in places completely removed from your website. This is known as off-page SEO. Today, we’ll review some bad off-page SEO habits to avoid if you want to improve rankings and boost traffic. 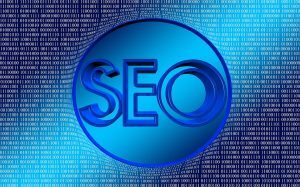 There are plenty of so-called SEO firms on the web pinging servers with ads claiming immediate benefits for brands and businesses. Many of these firms utilize a variety of off-page SEO tactics in order to boost performance. This may include link building, reviews, guest posts and several other elements. While all of these areas are valid off-page SEO considerations, it can become a costly and ineffective way to rely on off-page SEO benefits for the long-term. Inevitably, your brand has more motivation to affect positive and meaningful off-page SEO benefit than a paid firm. It’s entirely possible that in the event you can no longer afford the firm, these benefits disappear. Whether that is by design or merely due to no residual benefit can vary, but the moral of the story is: build as much off-page SEO benefit in-house. Whenever you are reaching out to new audiences through a variety of SEO methods, you inevitably will need to use keywords. This can be through on-page optimization of content or it can come in one of many forms relating to off-page SEO. Whether you are building guest posts with links back to your website, formulating keyword associations in reviews or targeting select audiences through paid marketing efforts, it is better to target audiences with keywords that they are most likely to use. You can gather this data via your chosen analytics solution. All too many times, people decide to compete for related keywords that are popular or heavily contested, rather than competing for keywords that are directly relevant to their specific audiences. When building off-page SEO credentials, it can be tempting to mass-spam a variety of websites, outlets and platforms. This can be anything from social media to specific forums, but the reaction to this tactic is universal: disdain. In many cases, you’ll quickly become blocked from using these venues for off-page SEO and the end result is zero value being provided. You can find many unique ways to build off-page SEO credibility but you need to ensure that you’re providing value while pinging servers with content. By contributing to social media discussions, forum posts and blog commentary in productive ways, you can gradually build your SEO strategy and ensure it lasts indefinitely. What other off-page SEO tactics have you used? Tell us below about your efforts and if they worked. « Is the Pokémon Go Fad Over?